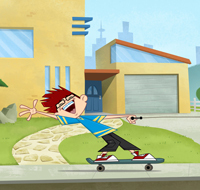 Melbourne, Australia-based prodco Galaxy Pop has begun production on its new animated kids series Get Ace which is set to premiere on Australia's Network 10 in October 2013. 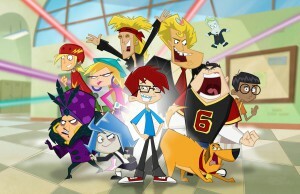 Melbourne, Australia-based prodco Galaxy Pop has begun production on its new animated kids series Get Ace, which is set to premiere on Australia’s Network 10 in October 2013. 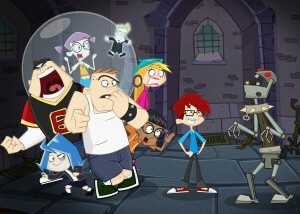 The new series, created by the writing/producing team of Gian Christian and Dina McPherson, follows the misadventures of a nerdy 12-year-old school kid, Ace McDougal, after he gets fitted with top-secret, high-tech spy braces that he can’t operate without an obnoxious computer hologram named Hugo. Get Ace is the second commission from Network 10 for Christian and McPherson and is funded by Screen Australia and Film Victoria.